Lineage. 7 Ferrying Squadron (constituted 7 Air Corps Ferrying Squadron on 18 Feb 1942; activated on 24 Mar 1942; redesignated 7 Ferrying Squadron on 12 May 1943; disbanded on 1 Apr 1944; reconstituted on 19 Sep 1985) consolidated (19 Sep 1985) with: 7 Combat Cargo Squadron (constituted on 25 Apr 1944; activated on 1 May 1944; inactivated on 15 Jan 1946; disbanded on 8 Oct 1948; reconstituted on 19 Sep 1985); 7 Air Transport Squadron, Special (constituted 7 Logistics Support Squadron on 22 Jun 1954; activated on 18 Oct 1954; redesignated 7 Air Transport Squadron, Special, on 1 Jul 1964; discontinued, and inactivated, on 8 Jan 1966); and 7 Airborne Command and Control Squadron (constituted, and activated, on 13 Feb 1968; organized on 1 Mar 1968). Constituted unit retained designation of 7 Airborne Command and Control Squadron. Inactivated on 28 Oct 1998. 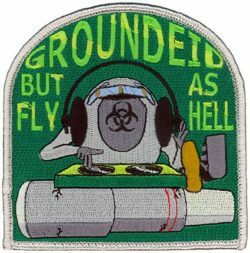 Redesignated 7 Expeditionary Airborne Command and Control Squadron, and converted to provisional status, on 19 Mar 2008. Assignments. North West Sector, Ferrying Command (later, 7 Ferrying Group), 18 Feb 1942-1 Apr 1944. 2 Combat Cargo Group, 1 May 1944-15 Jan 1946. Warner Robins Air Materiel Area, 18 Oct 1954; 3079 Aviation Depot Wing, 6 Feb 1955; 39 Logistics Support Group, 1 Jul 1962; 62 Troop Carrier Wing, 1 Jul 1963; 63 Troop Carrier Wing, 1 Jul 1964-8 Jan 1966. Pacific Air Forces, 13 Feb 1968; Seventh Air Force, 1 Mar 1968; 432 Tactical Reconnaissance Wing, 31 Oct 1968 (attached to Seventh Air Force, 31 Oct 1968-); 388 Tactical Fighter Wing, 30 Apr 1972 (remained attached to Seventh Air Force to 15 Aug 1973; attached to US Support Activities Group/Seventh Air Force, 15 Aug 1973-c. 21 May 1974); 374 Tactical Airlift Wing, 22 May 1974 (attached to Thirteenth Air Force, 22 May 1974-); 3 Tactical Fighter Wing, 31 Mar 1975 (remained attached to Thirteenth Air Force to 14 Aug 1975); 507 Tactical Air Control Group, 14 Aug 1975; 552 Airborne Warning and Control Wing (later, 552 Airborne Warning and Control Division), 1 Oct 1976; 28 Air Division, 1 Apr 1985 (attached to Air Division Provisional, 15, 5 Dec 1990-c. 16 Mar 1991); 552 Operations Group, 29 May 1992; 55 Operations Group, 19 Jul 1994-28 Oct 1998. 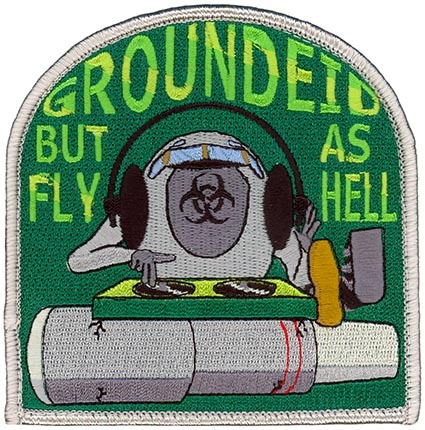 Air Combat Command to activate or inactivate at any time on or after 19 Mar 2008. Stations. Seattle, WA, 24 Mar 1942; Gore Field, Great Falls, MT, 22 Jun 1942-1 Apr 1944. Syracuse AAB, NY, 1 May 1944; Baer Field, IN, 7-27 Oct 1944; Biak Island, 11 Nov 1944; Dulag, Leyte, May 1945; Okinawa, 19 Aug 1945; Yokota AB, Japan, 22 Sep 1945-15 Jan 1946. Robins AFB, GA, 19 Oct 1954-8 Jan 1966. Da Nang AB, South Vietnam (operated from Udorn RTAFB, Thailand), 1 Mar 1968; Udorn RTAFB, Thailand, 31 Oct 1968; Korat RTAFB, Thailand, 15 Apr 1972; Clark AB, Philippines, 22 May 1974-14 Aug 1975; Keesler AFB, MS, 14 Aug 1975 (deployed at Sharjah, United Arab Emirates, 1-25 Sep 1991 and Riyadh, Saudi Arabia, 25 Sep 1990-16 Mar 1991); Offutt AFB, NE, 19 Jul 1994-28 Oct 1998. Aircraft. None (ferried tactical aircraft), 24 Mar1942-1 Apr 1944. C-47, 1944-1945; C-46, 1944-1945. C-124, 1954-1966. C (later, EC)-130, 1968-1994; EC-135, 1994-1998. Operations. Ferried lend-lease aircraft to Alaska for turnover to Soviets, Jun 1942-Mar 1944. Aerial transportation in Southwest and Western Pacific, 13 Dec 1944-Sep 1945. Provided airlift support during Cuban Missile Crisis, 17-28 Oct 1962. Airborne combat command and control in Southeast Asia (SEA), 1 Mar 1968-15 Aug 1973. Controlled airborne forces during the recovery of the SS Mayaguez, May 1975; in Grenada, 23 Oct-21 Nov 1983; Panama, Dec 1989-Jan 1992; and Southwest Asia, 1 Sep 1990-16 Mar 1991. Rotated aircraft and aircrews to Aviano AB, Italy in support of UN Security Council sanctioned Operation DENY FLIGHT to prevent Serbian aggression in the former Yugoslavia, Jul-Dec 1993. Campaign Streamers. World War II: Air Offensive, Japan; New Guinea; Western Pacific; Leyte; Luzon; Southern Philippines; Ryukyus. Vietnam: Vietnam Air Offensive, Phase II; Vietnam Air Offensive, Phase III; Vietnam Air/Ground; Vietnam Air Offensive, Phase IV; TET 69/Counteroffensive; Vietnam Summer-Fall, 1969; Vietnam Winter-Spring, 1970; Sanctuary Counteroffensive; Southwest Monsoon; Commando Hunt V; Commando Hunt VI; Commando Hunt VII; Vietnam Ceasefire. Southwest Asia: Defense of Saudi Arabia; Liberation and Defense of Kuwait. Decorations. Presidential Unit Citations: Vietnam, 1 Nov 1968-31 Oct 1969; Vietnam, 1-30 Apr 1972. Air Force Outstanding Unit Awards, with Combat “V” Device: 1 Mar 1968-17 May 1969; 21 Nov 1969-20 Nov 1970; 21 Nov 1970-6 Apr 1971; 18 Dec 1972-15 Aug 1973; 12 Apr-15 May 1975. Air Force Outstanding Unit Awards: 17-28 Oct 1962; 1 Jul 1965-7 Jan 1966; 1 Jul 1977-30 Jun 1978; 1 Jul 1978-30 Jun 1980; 1 Jul 1982-30 Jun 1984; 1 Apr 1985-31 Mar 1987; 1 Apr 1987-31 Mar 1989; 1 Dec 1989-1 Dec 1991; 1 Apr-30 Sep 1992; 1 Apr 1992-31 Mar 1994; 1 Jul 1994-31 Jul 1995; 1 Jun 1997-1 Oct 1998. Philippine Presidential Unit Citation (WWII). Republic of Vietnam Gallantry Cross with Palm: 1 Mar 1968-28 Jan 1973. Emblem. Approved 17 Feb 1977; revised in 1994.